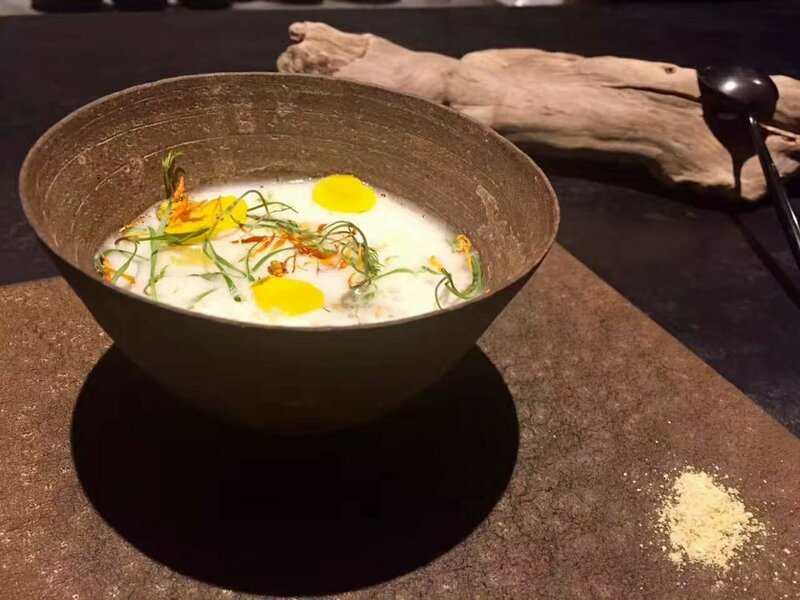 Florilege came out of nearly nowhere to debut at #14 on Asia's 50 Best Restaurants 2017. 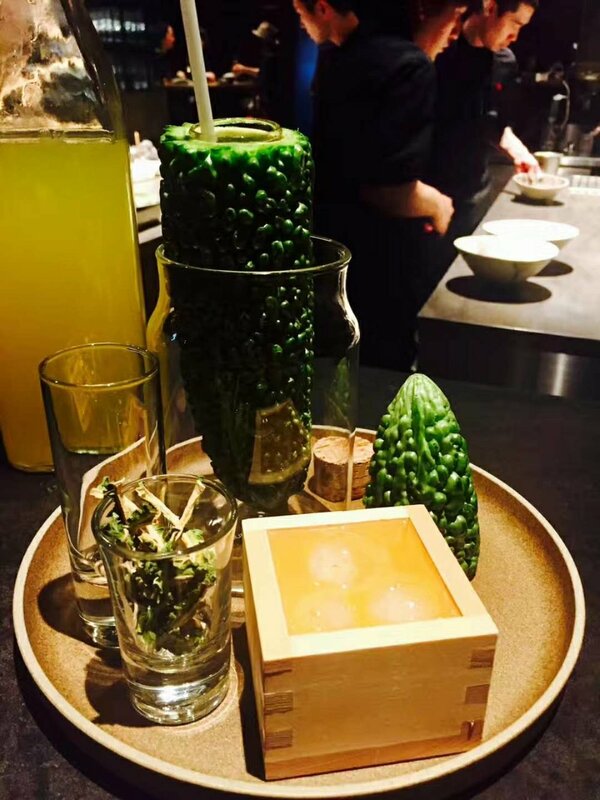 Chef Hiroyasu Kawate interprets French cuisine speaking in seasonal Japanese ingredients. The dining bar frames the open kitchen which is spotlit like a stage. The international team, which includes American and Taiwanese chefs, is all-in, fully committed. Mind BLOWN by the cocktail pairing at Florilege. This guy is off the chain. Cocktails inspired by impressionist painting. One is an homage to Monet's lilypads. You drink it, then eat the flowers with a spoon. He's not without humor. He serves a mint cocktail in a plastic bag nested in fir needles. A test tube of bitter melon concentrate is hidden inside a fresh bitter melon. He works outside the lines. He infuses with paprika, serves a hot Valhrona and whisky cocktail in the middle of the meal, and an absinthe concoction in a miniature frozen melon.